On the tracks of the Medici Family. Powerful, ambitious, impassioned with culture and science, the Medici family (that produced 3 Popes and 2 Queens of France) exercised its enlightened sovereignty in Tuscany from the 15th to the 17th century. Direct evidence of their extraordinary feats can be seen in the Medici Villas that Unesco recognized in 2013 as part of its cultural heritage. The architecture of these buildings is the highest expression of Humanism and Renaissance values of harmony, eurythmics, and measurement. Villa Campestri stands on the land where the Medici lived and ruled for centuries. It is your point of departure for unforgettable tours. Various moments in the history of the Medici family are woven into the history of Villa Campestri. The owners of this estate during the Medici era, the noble Roti Michelozzi family, were on familiar terms with the Medici family. There is an intriguing episode related to Villa Campestri. On February 27th, 1573 the natural son of Giacomo Boncompagni was born at Campestri. Boncompagni was the legitimate son of Pope Gregory XIII; his godmother was Isabella de’ Medici and his godfather was Cardinal Ferdinando I de’ Medici. Interestingly, the baby’s father, Giacomo Boncompagni, was the last son of a Pope to be declared legitimate before the Reformation of the Church. 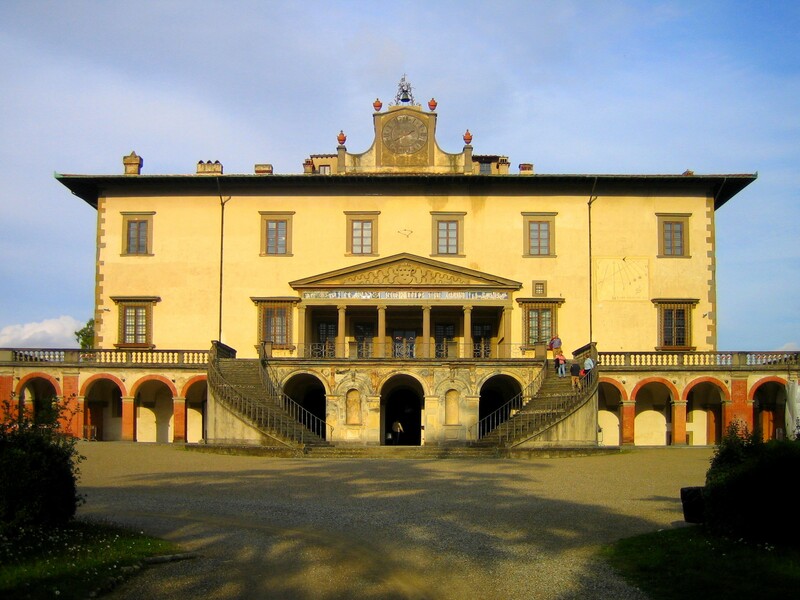 The Medici Villas become part of the cultural heritage of Unesco. During the 37th World Heritage Committee meeting, UNESCO approved the addition of the “Medici Villas and Gardens in Tuscany” to the list of the Cultural Heritage of Humanity. From the 14th century fortifications of Castello di Cafoggiolo to the Castello del Trebbio and the marvelous examples of Renaissance architecture in Poggio a Caiano and Villa di Artimino, Medici Villas have dotted the Tuscan landscape for over seven centuries. The Grand Dukes moved from one villa to another. There was hunting at the Parco Mediceo di Pratolino or at the Castello del Trebbio. Villa di Fiesole was a place to rest during the springtime; and Villa di Artimino was the ideal place to flee to in order to escape scorching Florentine summers. The Medici Villas are not only proof of the magnificence of this noble Florentine family; they are also proof of the Medici’s passion for art, architecture and nature. It is not surprising that one of the masterpieces of Italian Mannerism, Pontormo’s fresco “Vertumno e Pomona”, is in the Villa di Poggio a Caiano. Cosimo il Vecchio and Lorenzo il Magnifico commissioned Giuliano da Sangallo, Bernardo Buontalenti, and Michelozzo Michelozzi to design some of the most important Medici Villas. Painters and famous sculptors were commissioned to embellish the Villas with their masterpieces. Giambologna, Filippino Lippi, and Andrea Del Sarto brought their artistic experience to the Medici courts. The 4 stops on our tour. The Medici Villas were centers of culture where, thanks to the patronage of noble Florentine families, the development of the arts and sciences received an unparalleled stimulus. Villa Medicea a Poggio a Caiano. It was one of the summer residences of the Medici family. Rare plants and statues make the gardens surrounding the Villa particularly interesting. One clay statue representing Ombrone capturing the nymph Ambra is decribed by Lorenzo de’ Medici in his poem “Ambra”. 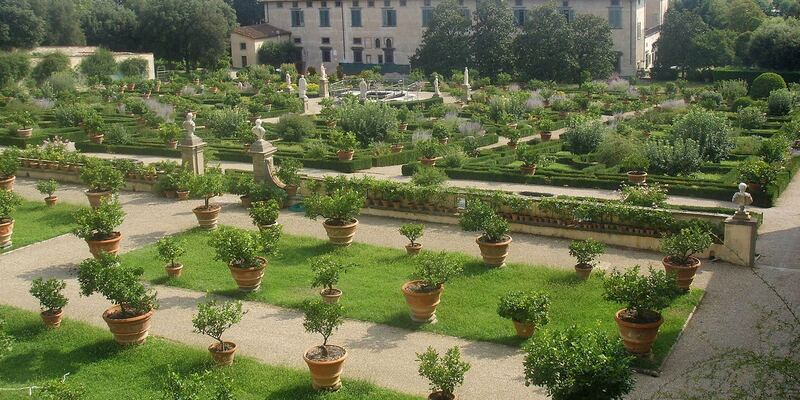 The Villa houses the splendid Museo della Natura Morta (The Still Life Museum) where there are 184 still life masterpieces collected by important patrons of the arts from the 1500’s to the 1700’s. One of the masterpieces of Italian Mannerism, Pontormo’s fresco “Vertumno e Pomona”, is in the Villa di Poggio a Caiano. Villa Medicea “La Petraia” is just a few kilometers from Florence and was a favorite refuge of the Grand Dukes of the Medici family. 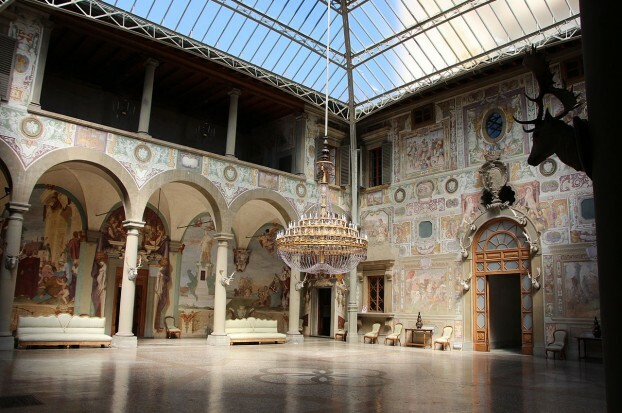 Here, you can admire 14 lunette shaped paintings that represent Tuscan Medici Villas. The third Grand Duke, Ferdinando I, commissioned the Flemish painter Giusto Van Utens to create these paintings. After a careful restoration, they now form the permanent collection of the Villa. Villa Medicea di Castello, with its park and garden. 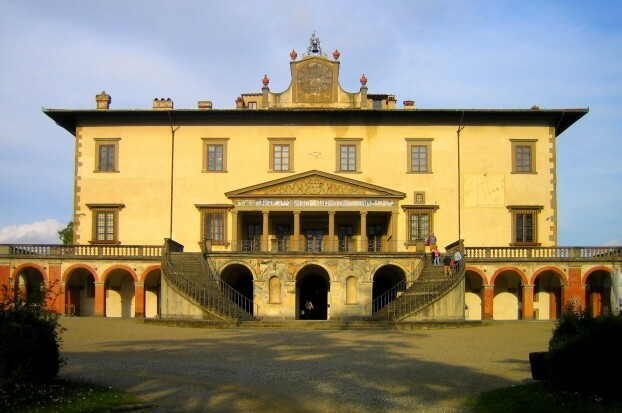 Villa Medicea di Castello, with its park and garden, was the favorite residence of Cosimo I de’ Medici. A year after this young Duke’s rise to power, the garden of the Villa was designed with statues, fountains, and grottoes that symbolically celebrated his greatness. The garden abounds in citrus trees and rare plants; an ancient grapefruit tree that goes back to the time of Cosimo I can be found in the Conservatory. The entrance to Parco Mediceo di Pratolino is in front of Il Gigante Adventure Park. This Medici park is immense and is subdivided into 17 areas. 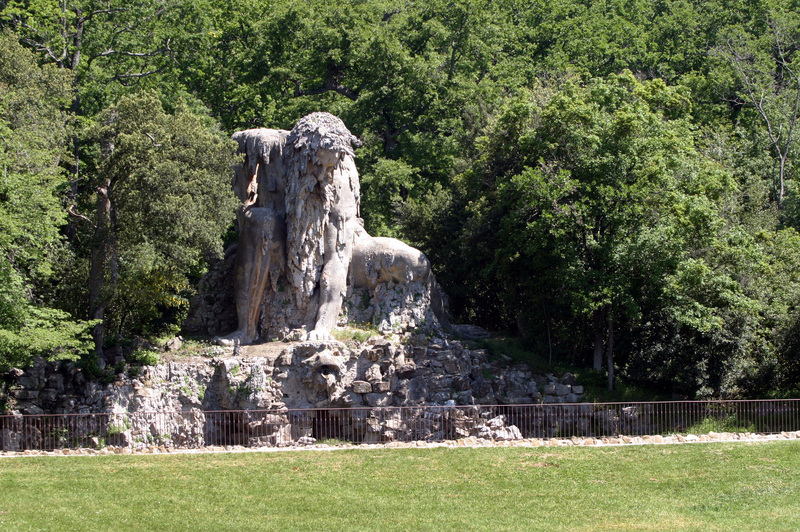 Its most famous work of art is “Il Gigante dell’Appennino” (The Apennine Giant) created by Giambologna in 1579-1580. Another attraction is Buontalenti’s “Grotta di Cupido” (Cupid’s Cave) that he created in 1577. We can organize transportation for the Medici Villa tours upon request.